The Southampton ABP Marathon is on 5th May 2019 and we have spaces available for the 10k, half and full marathon. 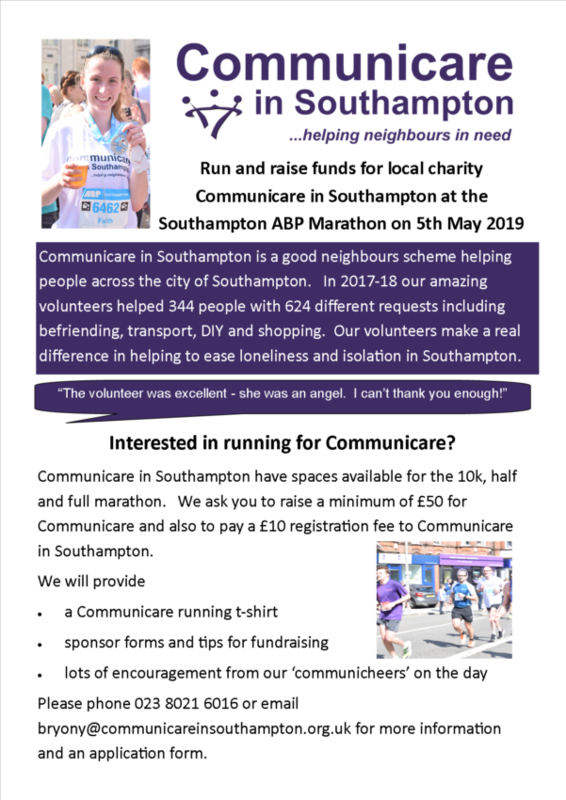 We ask you to raise a minimum of £50 for Communicare and also to pay a £10 registration fee to Communicare in Southampton. Please phone 023 8021 6016 or email bryony@communicareinsouthampton.org.uk for more information and an application form. Communicare Barn Dance – Yee Hah!